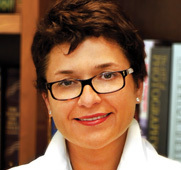 Dr. Zamorano and her associates have developed revolutionary computer image guided neurosurgical techniques and instrumentation used on brain and spine surgeries in numerous national and international centers. Her practice philosophy involves optimization of surgeries by using less invasive approaches and cutting edge technologies. Our mission is to provide the highest quality of neurosurgical care to each of our patients in a compassionate, efficient, effective and personalized manner.